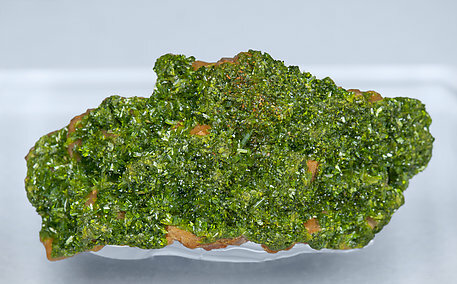 A coating on matrix of acicular and prismatic and very well defined Rodalquilarite crystals with very acute terminations. They are bright with a very intense green color. 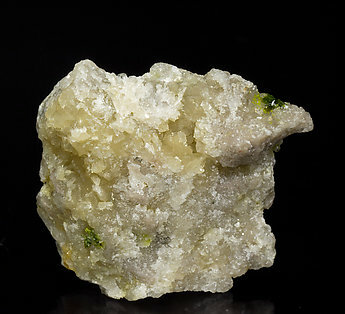 The Rodalquilarite, a rare iron and tellurium hydroxide, is rarely found in significant samples. Aggregates of very acute acicular crystals of Rodalquilarite. 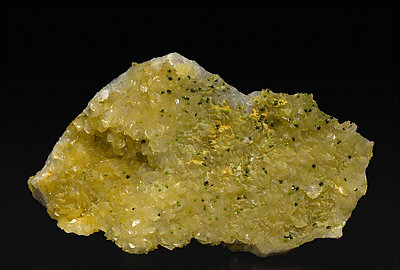 They have a very deep olive green color and are on a Quartz matrix coated by very well defined yellow Alunite crystals. The locality is a classic both for the Alunite and the Rodalquilarite. The sample is with a label from the William Pinch collection that we'll send to the buyer. Spheroidal aggregates of Rodalquilarite with a clear olive green color. They are implanted on a matrix of Quartz which is almost completely coated by very well defined lenticular yellow Alunite crystals. The locality is a classic both for the Alunite and the Rodalquilarite. 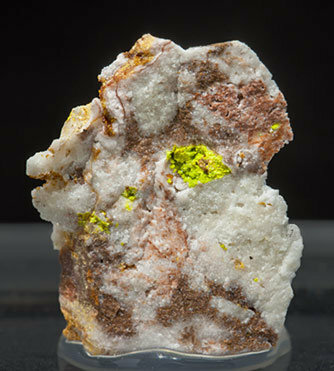 Small vugs filled with spheroidal aggregates of yellow Rodalquilarite crystals on a Quartz matrix with Jarosite. The sample is from the type locality for the species and is the consequence of a relatively recent find in the mythical 340 vein.